Choose GreenPrime, SVCE’s 100% renewable generation service, and be at the forefront of our community’s commitment to a clean energy future. 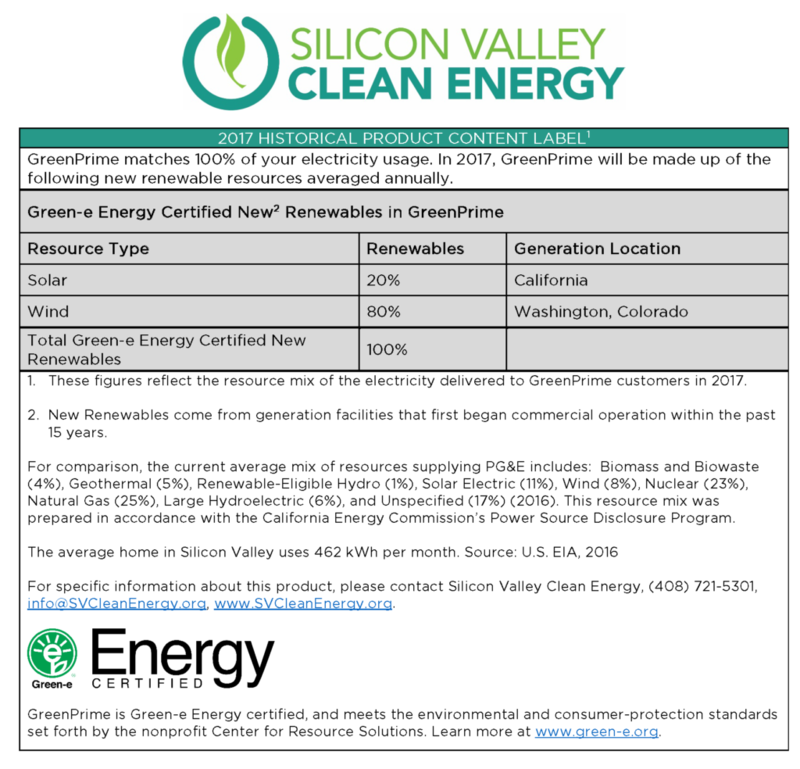 GreenPrime is generated from 100% renewable, carbon-free sources, primarily wind and solar farms in California and on the western grid. 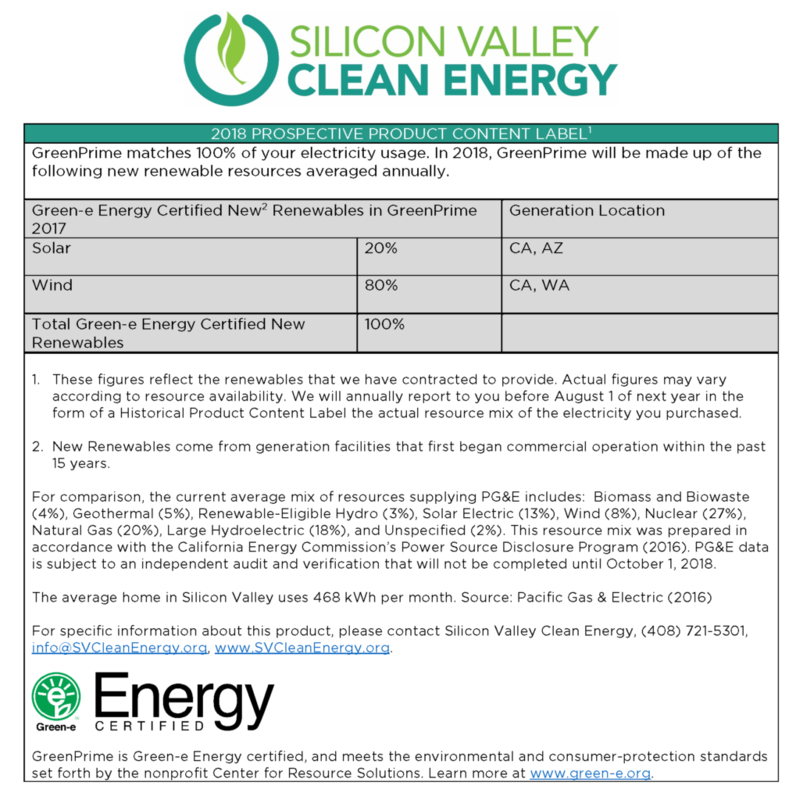 If you are currently enrolled as a Silicon Valley Clean Energy GreenStart customer, you can upgrade your service at any time to GreenPrime, SVCE’s premium 100% renewable and carbon-free electric generation service.